PhD students are those with a high degree of personal motivation that stems from their natural curiosity and love of intellectual pursuits. The PhD in Education is a terminal doctoral degree that has a research focus in the field of Education. It prepares the holder for academic, research, administrative, clinical or professional positions in educational, civil, private organizations or public institutions. Please contact us if you have any questions that are not addressed below. Please see our PhD in Education website. We strongly encourage prospective students to attend our information sessions, which are usually offered every other month. The Director will address the admissions process and discuss the program in detail. After the presentation, there will be an opportunity to ask individual questions. Yes! However, we encourage you to attend our information sessions which are offered every other month. The Director conducts these especially for individuals who are interested in the program and she is very thorough. You may ask individual questions after the presentation. For additional information or comments, please contact Joan Stahle at 703.993.2011 or jstahle@gmu.edu. Complete a non-degree application: http://admissions.gmu.edu/. Wait for a confirmation of your acceptance. View course offerings at https://patriotweb.gmu.edu/pls/prod/bwckschd.p_disp_dyn_sched. 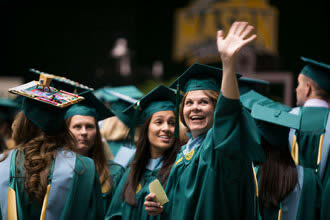 You'll find information on specializations at http://gse.gmu.edu/programs/phd/program-specialization/. Once you see a class you are interested in, please write to the instructor for permission to take the class. If they give permission, forward their email to Joan Stahle at jstahle@gmu.edu who will help you with the rest of the process. After 4-5 days, check your transcript in PatriotWeb to make sure the class appears. You don't have to register yourself - the registrar does that for you. If the class does not show up on your transcript, please contact the registrar's office at 703-993-2441. The Ph.D. in Education admissions committee conducts a holistic review of all components of each candidate's application. The GRE means for those admitted in 2014-15 are 152 (quantitative), 155 (verbal) and 4.1 (analytical writing). The admissions committee will also consider additional compelling evidence (e.g., goal statement, publications, etc.,), that supports the candidate’s qualifications. The doctoral program of study in the Ph.D. in Education consists of 66 graduate credits beyond a master's degree. In specific cases, more or fewer credits may be required, depending on student's career goals, prior coursework, and assessed strengths and deficiencies. Doctoral students may transfer up to 12 hours of graduate credit to their program of study, if (a) the coursework was undertaken no more than six years prior to admittance into the Ph.D. program, (b) the coursework was not applied to any previous degree, and (c) the coursework is deemed applicable to the student's doctoral program by the student's committee. Students who have earned a master's degree in a discipline other than the major area of program specialization may request using the master's degree in lieu of nine hours of the CEHD secondary emphasis area requirement. The reduction of credit form can be found at http://registrar.gmu.edu/wp-content/uploads/ROC.pdf. Around 80% of our students are employed full time. Almost all Ph.D. in Education classes are offered in the evenings at 4:30 or 7:20 from Monday through Thursday. We do not offer online classes. All of our classes are scheduled at the Fairfax campus. Presidential Scholar Award - One award is given to a new student in the fall semester with the highest GPA and GRE scores. The student is selected; there is no application. The awardee receives a stipend plus tuition benefits for 9 credit hours each semester (excluding summers). There is a 20 hour per week assignment. This award is renewable for up to a total of three years and includes university paid health insurance. Dean's Scholarship - Each year, three to five highly qualified new doctoral students are identified for receiving a Dean's Scholarship. This scholarship is intended for students who will be enrolled full-time as a student in the Ph.D. in Education program. To be considered, you must have a minimum score of 1200 on the “old” GRE (verbal and quantitative) or 310 on the new GRE, and cannot have full-time employment elsewhere. In exchange, the recipients will receive eighteen credits of remitted tuition for the academic year, access to the University's health care plan, and a stipend of $22,000. Each recipient will also work as a Graduate Research Assistant (GRAs) for 20 hours a week during the academic year. Holmes Scholar Graduate Fellowship supports unrepresented diverse students. Includes: 3-years of tuition remission for full-time course taking (up to 9 credits per semester, Spring and Fall), health insurance, a stipend for a 20-hour graduate research assistantship ($22,000/year), and funding up to $1200/year for travel to the AACTE conference. Graduate Research Scholar (GRS) – 10 and 20 hour positions available. Provides a tuition waiver but no stipend. Online application deadline is June 15 for the following academic year. http://cehd.gmu.edu/resources/student/ga_application. Dissertation Research Fellowship - Designed to help pay for expenses associated with gathering data and completing the dissertation. Students must have an approved proposal. The average length of time is four to six years. Full time students can usually complete the program in four years. The average time for part time students is closer to six years. Students can apply for funds through Graduate Student Travel Funds: http://gstf.gmu.edu/. Funding must be requested prior to attending a conference.